Built to accommodate the growing library collections, the useful but unslightly "Shack" was added to the West end of Memorial Building, which housed the library from 1900-1934. 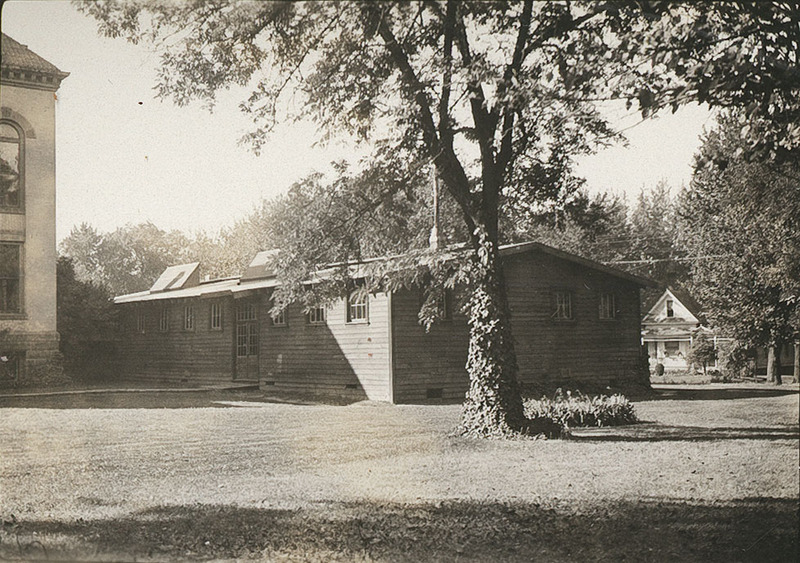 The Shack was moved across Isaacs Ave and used by the physical plant after the library moved to Reynolds Hall in 1934. 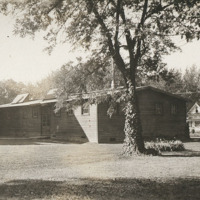 “Library Shack,” Whitman College Archives, accessed April 24, 2019, http://www.whitmanarchives.org/omeka/items/show/15.